Don’t forget to participate in bike-to-work day on May 18. 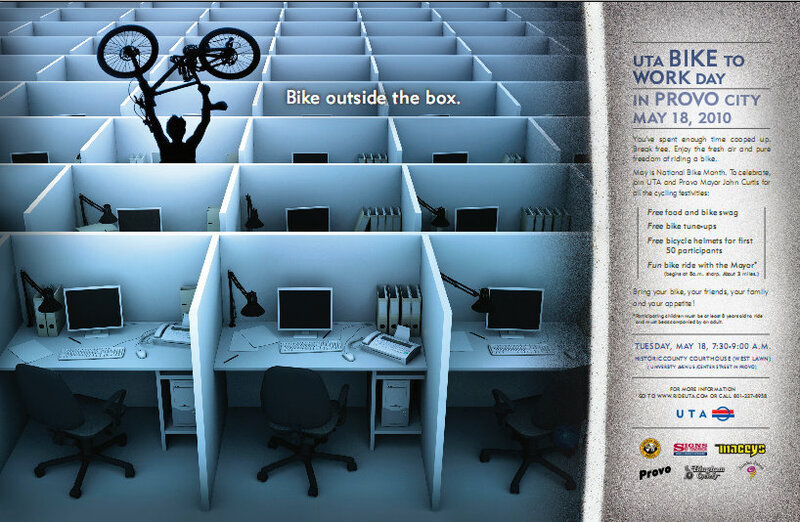 Before pedaling to work, show up in front of the Provo Historic County Courthouse at 7:30 a.m. for a UTA-sponsored cycling event including: free food, free bike swag, free bike helmets (first 50 participants), free bike tune-ups, and a celebratory 3 mile ride with Mayor John Curtis. This is a great way to have some fun and show your support of cycling in Provo. Take a look at the Bike-to-Work Day Facebook event and help spread the word by inviting your friends. This entry was posted in Kids and Family Cycling, Local Biking Events and tagged bike rides, bike-to-work day, John Curtis, National Bike Month by Jamie. Bookmark the permalink.